This post brought to you by The Money Code. Does it seem that there's never enough money for the things you want? Do you feel frustrated talking about money? Would you like to feel confident in your financial decisions? I don't know about you, but I'd like to know the secrets to financial control and security. 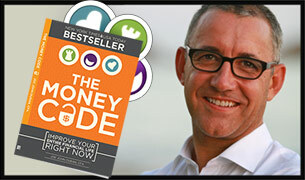 Visit mymoneycode.com for more information about the book and author and to download a free chapter. This New York Times best-selling book is available on Amazon .